Manchester United take on Barcelona tomorrow night but got a good result in the Champions League this evening as well. 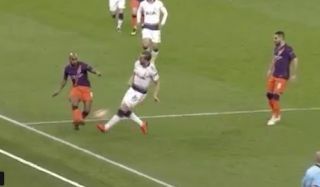 As the video below shows, Harry Kane went off injured for Tottenham against Manchester City, with Mauricio Pochettino quoted as saying it looks bad. Kane had to be helped off the pitch, such was the difficult he had standing on that ankle, and this could mean missing some key games in the run in for the top four in the Premier League this season. While we’d never wish bad injuries on any player, there’s no denying Man Utd can take some advantage of this as Tottenham will surely miss the goals of Kane as they bid for Champions League qualification in this tightly-run race.